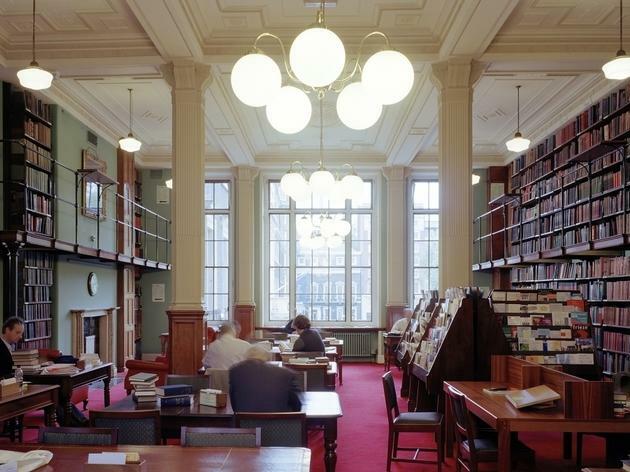 Founded in 1841 by Victorian writer and historian Thomas Carlyle, the library boasts a distinguished list of members and patrons that includes Thackeray, Dickens, Tennyson, Kipling, Eliots George and TS and current president Tom Stoppard. The collections cover a broad spectrum of subjects, with a particular focus on humanities, and browsing the million volumes on 15 miles of open-access shelves can unearth such idiosyncratic sections as imaginary history, foreign impressions of England, old children’s stories, dreams and duelling. 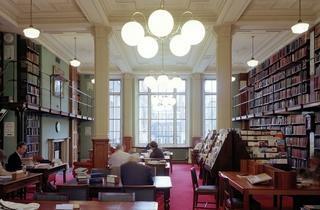 The Rolls Royce of libraries has a correspondingly exclusive membership fee: £375 a year. The British Library, by comparison, is free, but you cannot borrow books, whereas TLL will lend you volumes ‘for as long as you need them, or until requested by another member.’ If the annual membership isn’t within your means, temporary reference passes are available for £10 per day or £50 for a week. To help you discover whether either could be useful to you, the institution runs free tours of the premises and collections on Monday evenings. The London Library, located on St. James Square, is generally only open to members, but on every second Monday evening they host a free one hour tour. It seems to book up quite quickly, and I had to book about six weeks in advance to get onto a tour. The London Library was London’s first lending library. It was founded in 1841 by Thomas Carlyle, who was finding it hard to concentrate and get any research done in other overcrowded and noisy libraries around London. The library never gets rid of any books, so over the years the collection has grown to well over 200,000 books and as such they have had to buy adjacent buildings to expand their collection. The library isn’t very grand - it's much more about functionality. The part I found most interesting was seeing one section where they house the science and miscellaneous books. Here the book shelves actually form the structure of the building, while there are little metal gratings placed between shelves which form the floors. The gratings are fairly transparent and you can see up and down that there are seven stories of books housed in that section of the building. Our tour ended in The Times room in the basement, where we were able to look through some of the earlier editions of The Times and see how news reporting has evolved over the years. The tour is a great way to see inside a hidden part of London which houses such a wealth of history.